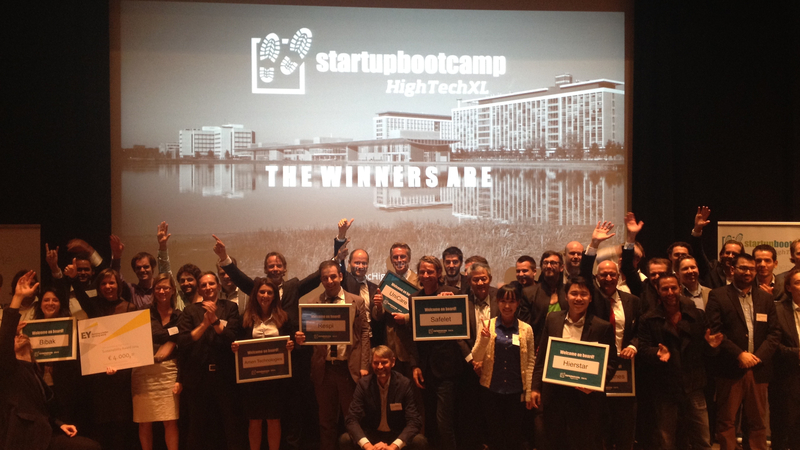 After months of screening and selecting the best of the best and an intense couple of days, together with our 150+ mentor pool, we selected the 11 best high tech startups of the world for the second program of Startupbootcamp HighTechXL. The feedback from the selected startups today ranged from “absolutely amazing experience” to “zero to hero in a weekend”. The startups came in on Saturday and we’ve been working on their pitches and assessing their team dynamics during the weekend. Pitches improved dramatically. Each and everyone managed to get their story told in exactly 3 minutes. Slides full of text transformed into impressive visuals supporting the presenter’s story. The mentors were essential in this process and all startups, even those who did not make it to the 11 program participants received feedback that will impact the “strategic direction and future of their company”. That’s what we do it for, getting these companies off the ground. Just like the startups, I’m totally impressed by the quality of the competition, the intensity of the days and the impact we’ve made on the lives we touched. It’s only the beginning of the acceleration and we’ll move mountains again to turn them into awesome life-changing companies. Since I’ve been responsible for the selection of the Dutch startups, I’m happy to see 5 out of the 11 selected teams are based in the Netherlands, but equally impressed by the foreign teams. It’s the combination that’s instrumental to the atmosphere in the program. The actual program starts in 2 weeks, we expect them back on November 3. Although the team from the US said “hell NO, we’re staying”! Exhausted but very, very happy with the result. You can read more about the finalists on the Startupbootcamp blog.